Companies have to continuously revamp products in order to keep consumers investing and being loyal to the brand. In Boeing’s case, it becomes extremely difficult to redesign an aircraft that costs millions to make, without either spending more money to improve the quality of the product, or spend less at the risk of loosing quality. This article discusses, ” [how] infighting erupted this summer at Boeing over how to keep the price of the new jet under control”(Ostrower 1). The company’s main issue was creating a new design for the 777, which is a significant portion of Boeing’s monthly revenue. The article discusses how earlier this year, Boeing pitched a new design of the aircraft with changes to, “the wing, upgraded engines and other improvements toboost performance”(Ostrower 2). 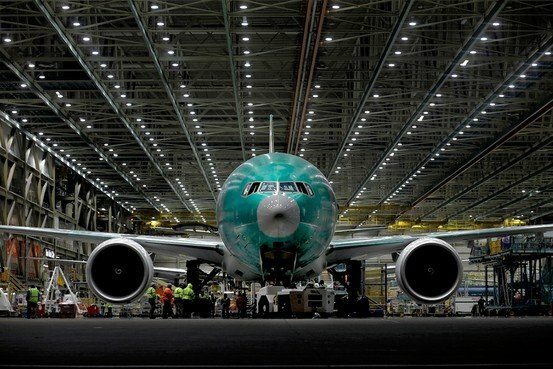 The design had all the new advances nessisary, but it was simply to costly in the eyes of Boeing, so it was brought back tot he drawing board regardless of the different contracts that relied on the introduction of the 777x. This is a huge issue in managerial operations because companies have to make product quality decisions that can make or break the company. In Boeings case, the original 700x design was ready and customers were willing to purchase it, but Boeing thought the design was not cost effective. As a result they worked on the design that not only would be a more efficient version of the 700, but cheaper to operate. The decisions Boeing made in regards to quality could have potentially effected a large stream of revenue created from model 700 sales, but they did not rush the design and have been making a cheaper and more gas efficient design. I recently did a project on Boeing. They are redesigning the Boeing 777X with the new honeydew technology. It implements the new delta wing design which gives it a more aerodynamic shape to save 2% of annual gas costs. I believe that boeing is being very innovative with the new technology not only on the stand point to be cost effective but to also satisfy consumers and major airline corporations. They are making improvements in the operation management skills by thinking outside the box. I think what Boeing did was a crucial move. They could have released the plane but instead they reconstructed it to become cost effective. In the short term, that may have set them back with setback costs. Yet in the long term, Boeing probably made the best decision by making it cost effective. If their customers are brand loyal, then they will not mind waiting for the end result.